The task of the owner’s representative is to act as the client’s eyes and ears throughout the design, construction and delivery process with the sole purpose of executing his or her goals. It is a multi-disciplinary role that requires defining technical specifications, contractual terms, realistic schedules, budget and project objectives, and requires a clear understanding of what success should look like at the end. As Vitruvius/Feadship M/Y Najiba goes through final fitting out prior to sea trials and delivery to her owners in mid-March, MCM co-founder Peter Wilson offers a fascinating insight into the challenges he faced as the owner’s representative. How did MCM become involved in the project? 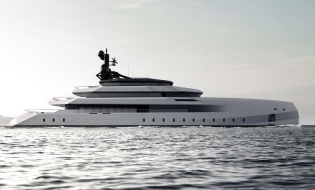 We were contacted by Philippe Briand’s office, who said they had a client wanting to build a 58m Vitruvius and that he was looking for an owner’s representative. Of course, we saw this is a great opportunity to be involved in a really special project. We presented an initial proposal and followed up with some direct dialogue with the client by phone. That first phase went extremely well and during a subsequent meeting at the client’s office, MCM was signed up to get the project to the shipyard contract stage. 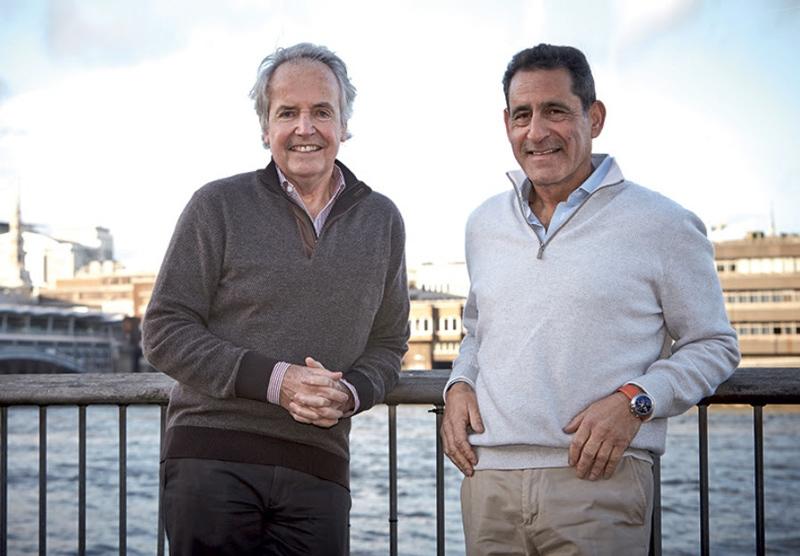 We managed the shipyard selection process and after the decision had been reached to build with Feadship, we guided the owners through the contract negotiations and contract specifications. 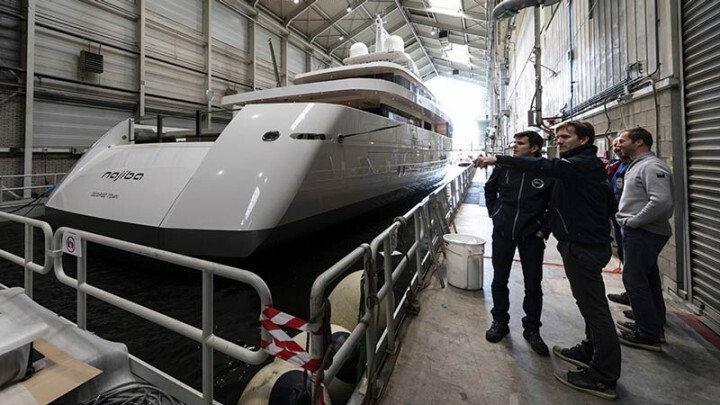 Once the contract with the shipyard had been signed, we could move on to the second phase of our relationship with the owners, which was to represent their interests throughout the construction process until the delivery scheduled for mid-March. What were your day-to-day responsibilities once construction got under way? Mostly managing the design process to make sure the information flowed between all parties and that everyone was meeting their contractual obligations. Once the initial general arrangement planning phase was complete, the interior design moved to the detailed interior design, which Studio Liaigre were commissioned to undertake. As one goes through the detailed development of such a sophisticated interior, there are inevitably a number of modifications, which meant establishing the validity of the change orders and ensuring that the man-hours and costs being proposed were reasonable and fair. Interior designers are creative people and will keep on generating wonderful new ideas given the opportunity. Sometimes our job involves knowing when to say “Basta!” as we do have construction schedules and drawing delivery schedules the need to be adhered to. What other changes were introduced? 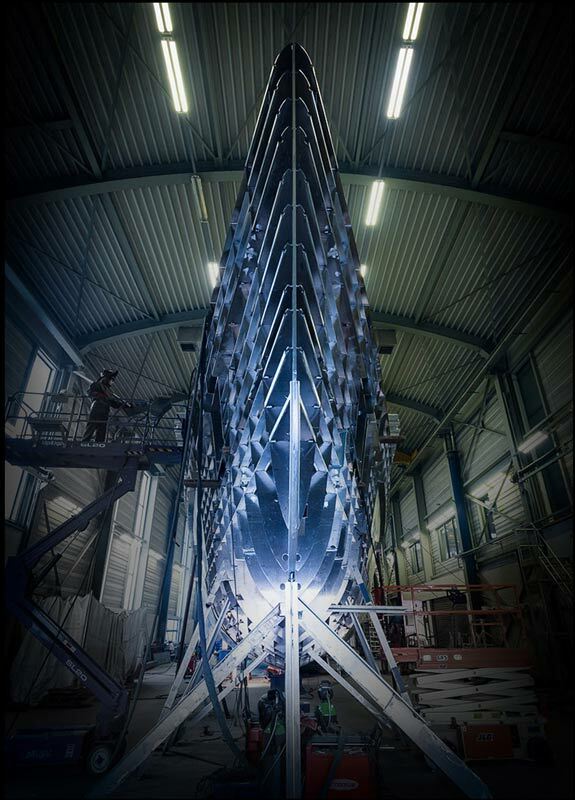 Both Briand and I were keen to build in aluminium to have a lighter, more efficient and generally more modern yacht. The owner was initially on the fence, as he felt a yacht of such substance would typically have a steel hull and aluminium superstructure. But after detailed studies, research and long discussions into the pros and cons of aluminium versus steel (sea keeping characteristics, roll period analysis, speed/efficiency), all the evidence pointed to aluminium as the most suitable material. The owner was convinced and that’s how we proceeded. How closely were the owners involved in the design and build process? Intimately. They are very knowledgeable, can read technical plans perfectly, and were driving a lot of the exterior details and every facet of the interior. They were very accessible and quick to respond to questions, and once a decision had been made it didn’t change, which made for very efficient progress. They also had some very good ideas that they wished to have incorporated, and the yacht reflects those ideas. I think their involvement made the whole experience more enjoyable for them and will ultimately enhance their use of the yacht and sense of accomplishment. Do involved owners make your job easier or more difficult? Easier. With ‘hands-off’ owners we sometimes find ourselves having to make personal decisions for them, which is not ideal. Some clients just want to be called when the job is done; others want to be involved in every nut, bolt and door handle, but I have no doubt which is the more rewarding. We had multiple meetings with the owners of Najiba at the Vitruvius office in London, the Liaigre studio in Paris, the shipyard in Holland, the Monaco Yacht Show - to name a few of the venues. Everyone was always very focused, and they were always very interesting and enjoyable. In the past, MCM has been more associated with the sailing world than motoryachts. Is that still the case today? It’s true that we’re predominantly sailing yacht guys. But we’ve managed the build of several motoryachts, including Cassiopeia and Calliope at Holland Jachtbouw and CaryAli at Alloy Yachts and we’re moving into the power market more and more. Funnily enough, when I first met with the owner of Najiba, he asked me exactly the same question. I explained that both sailing and motoryachts have engines and generators, AC and audio-visual systems, and so on. The difference is that on a sailing yacht we have to squeeze it all into a weird shaped hull. Then we add masts, rigging, sails and winches and heel it over at 25 degrees and shake it all about! He found that a pretty compelling reason to take us on for his own yacht.